Customizing your CRM to your business is a steadfast way of ensuring buy-in from your sales team. Easily customize OnePageCRM to your business by adding your product information as custom fields. Add product descriptions, product codes, notes and more. You can even link product information to deals in the CRM, for more accurate reporting on export. ✔ Greater buy-in from sales teams. ✔ Track product sales by team member. ✔ Advanced reporting on product sales. Looking for a Sales CRM? 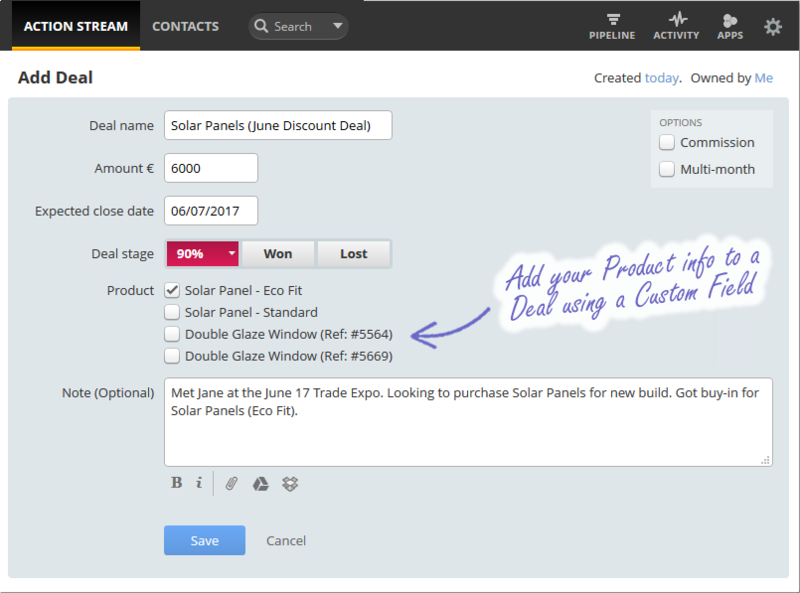 You can link a product to a deal created with a contact, by simply adding it as a custom field. Add product information and notes using the multiline, dropdown, checkbox, number or date fields. Adding custom fields to deals gives you room to add more information to your deal which is searchable in OnePageCRM. This is useful for predicting demand for your company’s products. 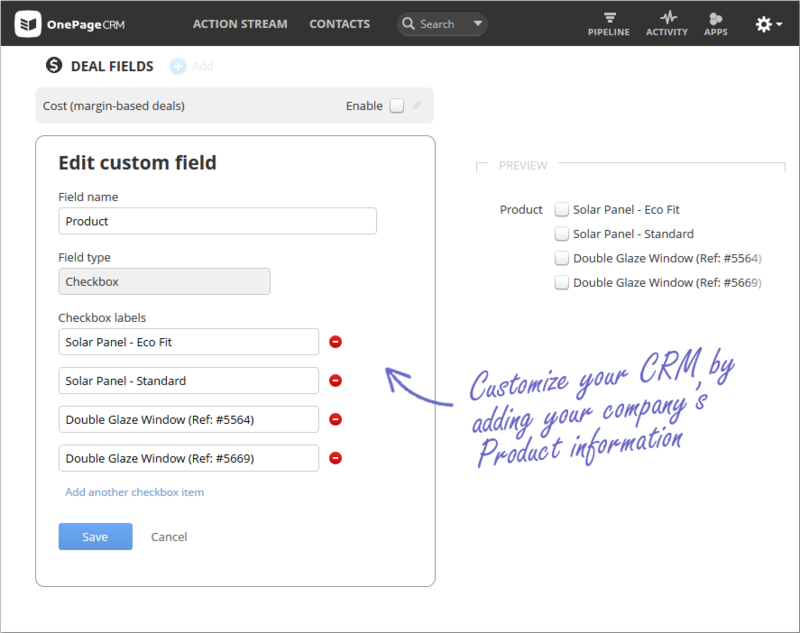 Once you’ve added your products as a custom field in OnePageCRM. You can set up custom filters and run reports on the data. 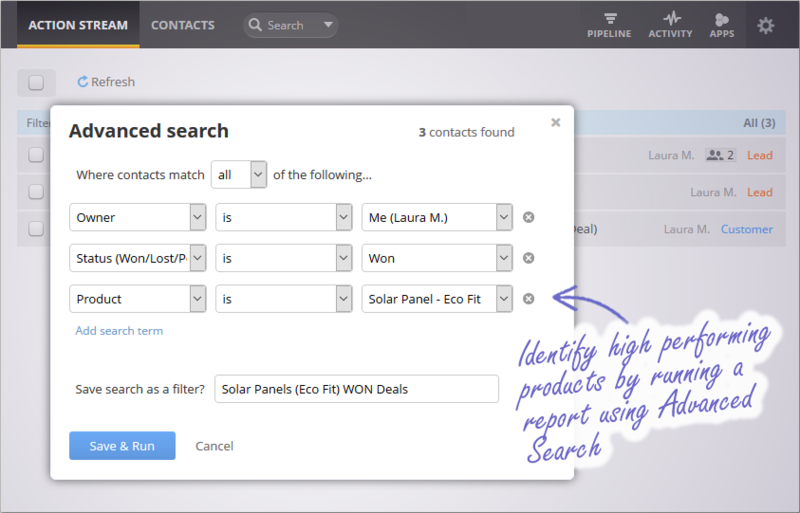 Keep track of inventory and identify who your high performing sales reps are, all at the click of a button.